There are approximately 11.5 million RVs currently in use, and approximately 1 million are used by full-time RVers. Because there appears to be so many full-timers around the campfire, both new faces and veteran RVers, it seems proper to readdress the basics of domicile: what is domicile; why is domicile an issue and what are some domicile factors? Unfortunately, there is no universally accepted definition of domicile, and it changes from state to state and from area of law to area of law. Note that domicile impacts many different areas of law (e.g. land/property, voting rights, tax law and estate planning, to list a few.) However, domicile is generally defined as the place to which you intend to permanently return, even after temporary absences. Your “intent” seems to be critical to any domicile discussion. It is important to note that intentions may be ambiguous and may change from time to time. Because intentions exist purely in the mind, courts tasked with determining a person’s intentions (and, thus, a person’s domicile) can only examine the manifestations of a person’s intent. And those manifestations become the factors which courts commonly examine when determining a person’s domicile (as discussed below). In the context of RV residency, your RV is your residence—the place that you put your head down at night. And, while it appears from some laws that you need to make an appearance in the county of your domicile (and, I would strongly encourage you to make regular appearances in your chosen county), it also appears that you do not have an obligation to remain in that county. It may seem obvious that you may take a vacation. And, further, the 14th Amendment to The Constitution guarantees you the right to travel amongst the states. In short, you have one, and only one domicile; however, you may have many residences—in theory you could have a residence on every street, everywhere. And, in the context of RV residency, your residence—your RV—travels with you (or you with it); but, your RV domicile remains fixed and permanent. Why is domicile an issue? Many people live full-time in their RVs for years, and they never have their domicile challenged. Therefore, it is reasonable to ask, why is domicile an issue? Simply stated, the consequences of losing a domicile contest can be severe—including monetary fines and, in some cases, criminal charges. Domicile contests can arise from any law in which domicile is an important component. However, typically, domicile challenges arise out of the following areas of law: tax law, jurisdiction and estate planning law. Domicile impacts jurisdiction in some cases. As mentioned above, domicile may impact where a court case may be tried. And domicile impacts where probate may occur. Often, when RVers leave their stick-and-brick lifestyle for the meandering RV lifestyle, they forget to update their estate planning documents commensurate with the laws of their new state of domicile. When they pass away, jurisdiction for probate is proper in the state/county of their domicile. However, a court may have to apply another state’s laws, in accordance with the wills and/or trusts, creating a messy probate. Once you have established Domicile, let Escapees handle your mail for you! Ready to enjoy the benefits of our Mail Forwarding Service? Visit our “Sign Up” page to get started and to download the required forms. What are some domicile factors? Implied above is the fact that there is an incalculable number of manifestations of “intent to domicile.” And courts are empowered to examine any of those manifestations, giving any weight they want to them. Courts may consider any words or deeds in their factor analysis. However, there are a few factors courts examine with regularity, so RVers should manage the following factors as a bare minimum. 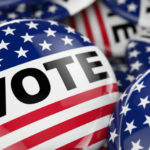 Some factors that receive frequent treatment in articles, blogs and forum posts included mail service address (typically RVers first connection with a state and county), driver licenses, vehicle registration and voter registration (where applicable). These factors are easy for courts to examine and readily discoverable. Land ownership may seem definitive as to a domicile election. However, as discussed above, residence does not equal domicile. Mere land ownership is not dispositive or determinative of domicile. RVers may own rental/investment properties and vacation homes without those structures becoming their domicile. Other, more difficult to determine, factors include the RVers’ community connections. 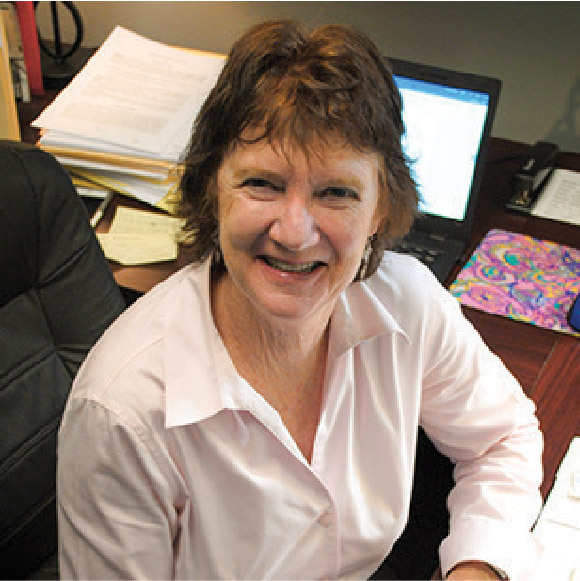 RVers’ interactions with professionals, religious institutions and social clubs matter. Doctors, dentists, accountants, financial planners, attorneys, religious institutions and social clubs (Rotary Club or Veterans of Foreign Wars) should be in the county where the RVers domicile. And it is important that the RVers visit their county of domicile regularly. 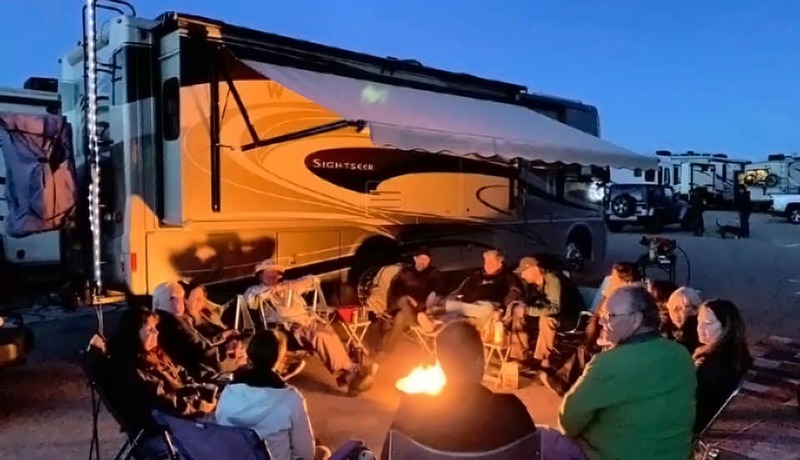 While there typically is not a schedule by which RVers must appear in their county of domicile, their domicile story is strengthened when they pass through as part of their normal travels. It would be a bad idea to pick a county in which to domicile and to never visit that county. RVers should be wary of how they use their mail service address. Courts can analyze information used to establish bank accounts, credit card accounts, investment accounts and other similar types of accounts. Therefore, it is wise to make certain that all of the important business information reflects the correct address of domicile. Inconsistencies in address information may evidence intent to domicile in the incorrect state or county. For a great many RVers, not all of their worldly possessions will fit in their RVs. Subsequently, they either donate personal property, sell it, give it to friends or family or they store it somewhere. Storing personal property creates a rebuttable presumption that the RVers will return to claim their property, even when they store the items in the garage of a loved one. This is a rebuttable presumption—meaning RVers can overcome this presumption. However, it takes more evidence to establish a cogent, believable argument as to why those possessions are outside their state/county of domicile. Domicile can be complex and it takes effort to establish and properly maintain it from afar. While there is a myriad of factors that the courts may examine, one factor pointing to the incorrect state/county of domicile, may not destroy a domicile election, unless that factor (for some reason) creates substantial and continuous connection to the wrong state/county. The nuances of domicile should not dissuade anyone from RVing. Rather, properly establishing and maintaining a domicile should provide RVers with a sense of comfort, so that they may fully enjoy the RVing lifestyle. Securities offered through Securities America, Inc., Member FINRA/SIPC. Advisory services offered through Securities America Advisors, Inc. insurance services offered through Multigenerational Wealth Strategies, LLC, which is not affiliated with Securities America Companies. Legal services offered through Loring & Associates, PLLC, which is not affiliated with Securities America Companies. Although this information has been gathered from sources believed to be reliable, it cannot be guaranteed. This information is not intended to be a substitute for specific individualized tax, legal, or investment planning advice. Individual situations can vary; therefore, the information presented here should only be relied upon when coordinated with individual professional advice. If I have a friend in a state can I use her address and she will forward my mail. Would it be smart to purchase my rv in that state to license it instead of doing it twice ? So confused.